YA Author with Untold Press. 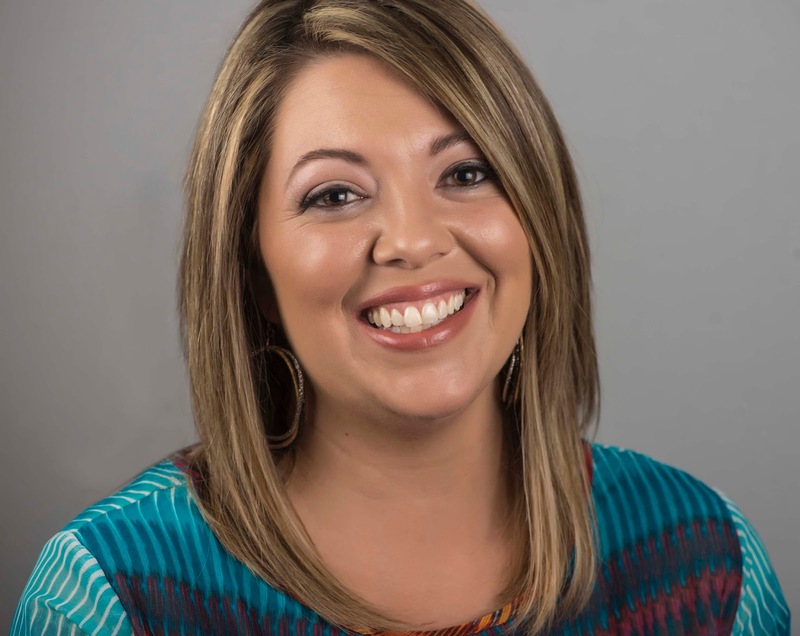 Born and currently residing in Midland, Texas, I shuffle three busy children (not including my husband) all over the place. I work in a busy pediatric doctors office as a nurse during the day, and write at night. I'm addicted to coffee——who isn't? And firmly believe chocolate can fix all——especially chocolate ice cream. I laugh a lot, often at myself and am willing to try anything once (I think). When I'm not rushing kids around, working or writing, I'm reading. Other than life experience, I turn to a wide variety of music to help spark my creative juices. I love to dance and sing, though my kids often beg me not to. Blain Heros is the sworn guardian created by Zeus to protect Trinity. His mission is to train her to defend humans against Pandora’s curse. For Blain, training a mortal for battle is impossible. For Trinity, taking orders from an overbearing immortal whose touch leaves her dizzy, is hopeless. But with each passing lesson, frustration and confusion give way to an electrifying bond. Together they are a force to be feared, only defending humans against an ancient curse isn’t the only threat in the world anymore. A band of rogue immortals is hunting Trinity because her power is key to unleashing an unholy darkness into the mortal realm. As the war between light and dark brews, Trinity vows to fully embrace her fate–or die trying. After Melia’s near-fatal attack, the connection binding Trinity and Blain shifts, allowing a dark force to wedge them apart. Her only hope for the life she craves is stopping Melia and her gang of Rogues. Too bad life never plays fair. As Trinity’s eighteenth birthday draws near, new abilities manifest. More problems occur when objects around her spontaneously erupt in flames. While Trinity tries to manage her new powers, Blain works with Watchers to root out Melia’s hiding place. Unfortunately, Trinity’s uncontrolled talent evokes suspicion, causing old friends to challenge her ability to fulfill her destiny. Havoc between the immortals ensues, leaving mortals unprotected as a new threat surfaces. Melia found a way to awaken an ancient god, whose wrath–if released–is sure to create more devastation than Pandora ever dreamed of. Everything about Trinity’s life is changing, except her vow: Keep those she cares for safe. My whole freakish life I’d desperately wanted to shut out the surge of emotions I often felt from others. But this empty vacancy was out of place and wrong. of his had a way of making me forget the outside world. His clean cotton and fresh-out-of-the-shower scent clung to him like static, and I couldn’t get enough. The feeling of comfort and safety while wrapped in his arms enveloped me, and the terrible images that startled me awake earlier faded away. Blain inched back, definitely far enough to see redness spread across my face, and grinned. His stare, the desire and need held there, made my pulse race. “God, you’re beautiful,” he said, stroking a thumb across my cheek. I’m super proud to help raise money for this organization. This year I’ve donated my Young Adult Paranormal Series: The Fated. If you enjoy Greek mythology, this series is for you–Pandora’s Box with s twist. There are a ton of terrific authors who have graciously donated as well. Be sure to check out the awesome list below. These books came highly recommended by friends, so we shall see. Now, to make the new year a little sweeter for you guys, you can download Distraction, the first book in my best friends to lovers series for FREE! Also, head over to my FB page to enter for a chance to win a $25.00 Amazon Gift Card. MORE. FREE. BOOKS! Click HERE to enter FB Giveaway. 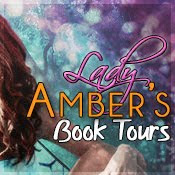 To continue the hop, please go to Cadence Rae’s (author of In Her Eyes) site: https://cadencerae.wordpress.com. Eek! I’m pumped to join so many authors in this cool hop. Anyone wondering which book I’m giving away? 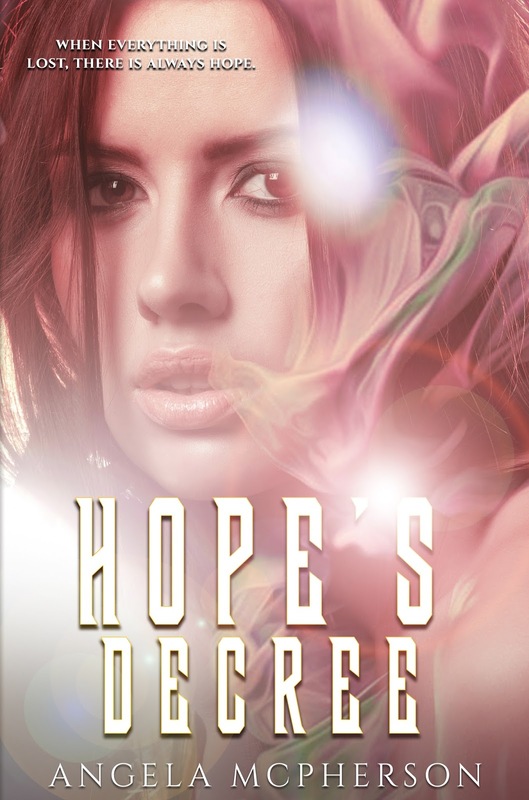 It is Hope’s Decree, The Fated book 1. What’s my book about? A girl born to correct the horrors released from her ancestor’s box… Pandora’s Box, to be exact. The next book, Hope’s Deceit is already out, and the last book, Hope’s Defeat is written and will have a release date from my publisher soon. 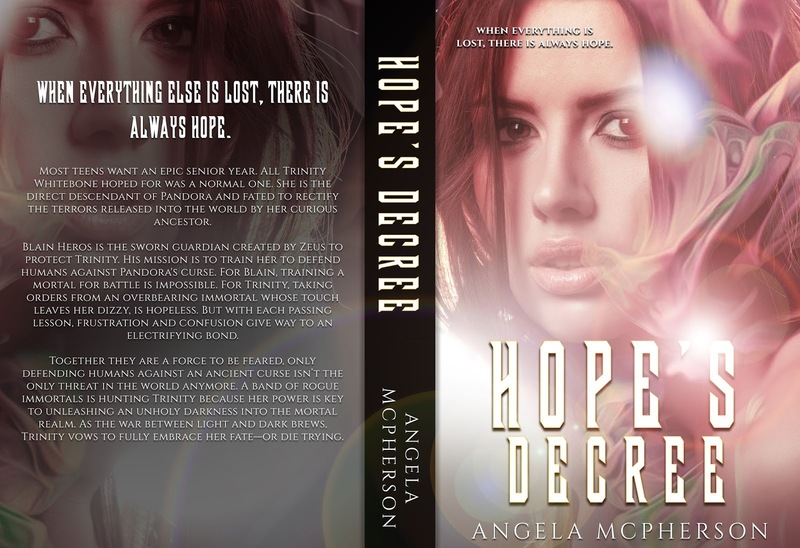 Scroll down to read the full blurb for Hope’s Decree. 🙂 Thanks so much for participating! In case you missed the story and (like me) need to see each blank to fill it in, I’ve posted a copy below. Trinity is the direct descendant of Pandora and fated to rectify the terrors released into the world by her curious ancestor. With powers she didn’t know existed and abilities she never wanted, Trinity walks away from everything her life had become. She thought she could turn her back on her fate, until a band of rogue immortals discovers who she is and will do whatever it takes to control her powers. Trinity is left with one decision…Embrace fate or die trying. Distraction is #FREE today only! 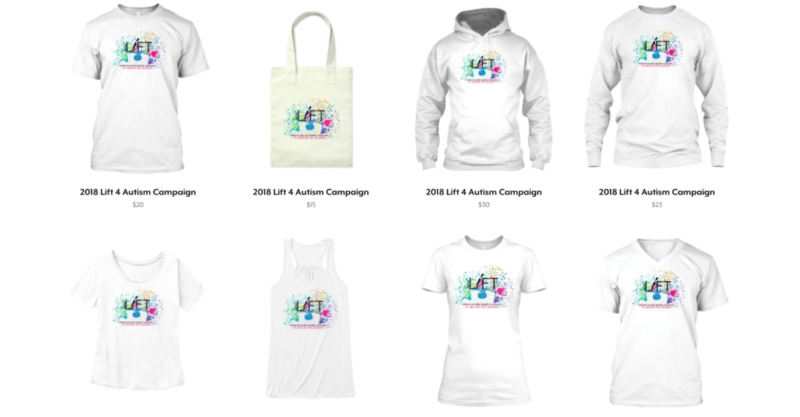 LIFT is the charitable initiative rallying the romance community in April, Autism Awareness/Acceptance Month. All proceeds go to Kulture City and their programs for ASD families! ➔ Online Auction: Browse NOW! Bid Mon, 4/24! 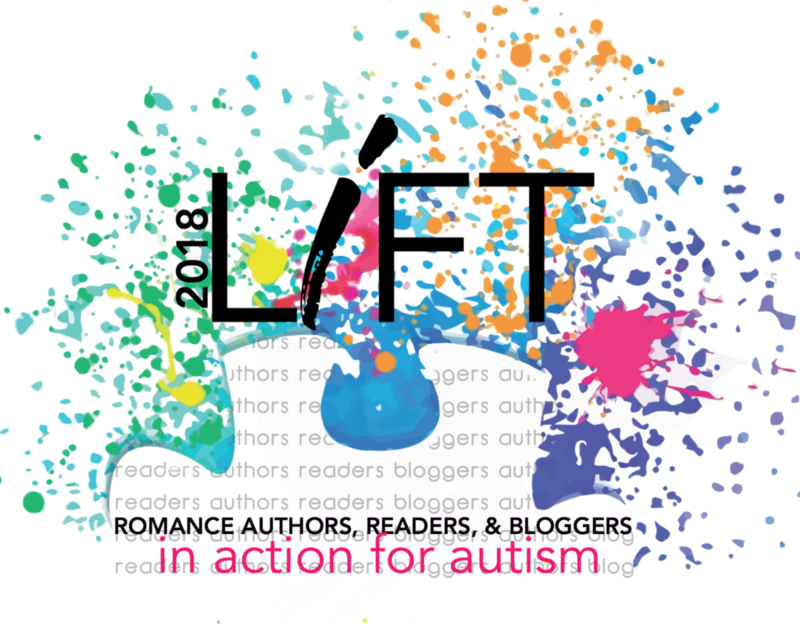 ➔ 1-Click EVER IN THE AFTER, the LIFT Anthology, for 99¢!